The holidays are in full swing and that means you probably spend more time in the kitchen than at any other time of the year. The recipes are complicated, the food is indulgent and you have no time to waste on figuring out what’s for dinner. 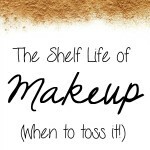 I know when this time hits my house, I feel like I need more hours in the day and when it comes to meal planning, well, let’s just say that it kind of falls to the wayside for about 2 months. When we have company coming for the big celebration, they often stay overnight with us and that means an extra dose of meal planning for lunches and appetizers that must go into my already hectic schedule. 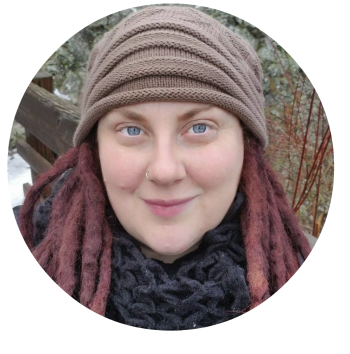 I like to make simple no-frills recipes and when I make a stop at my local Walmart, I try to get creative while in the aisles as I pick up the food for the big day. 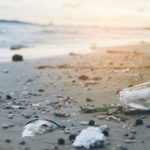 This year, I came across 32-ounce container of Chobani® Non-Fat Plain Greek Yogurt while picking up some eggnog in the diary section and a light went off. 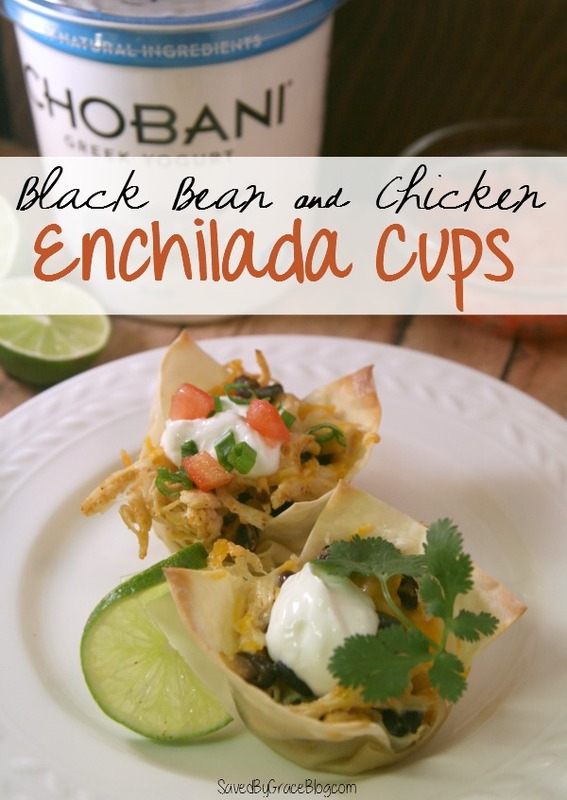 I love making “cup” meals that are easy to grab and fill you up and I thought that Chobani® Non-Fat Plain Greek Yogurt would make a perfect simple sauce for a new recipe. 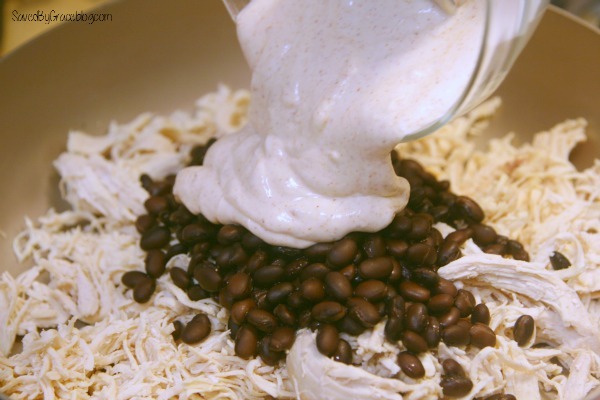 We often use Greek yogurt in place of sour cream in our recipes because it is a great lifestyle choice, it’s low in fat and it has lots of protein (44% of your daily value per serving! 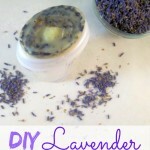 ), so why not use it as a main sauce component since it’s so easy to use? Bingo! I had come up with a way to make appetizers and lunch all in one! 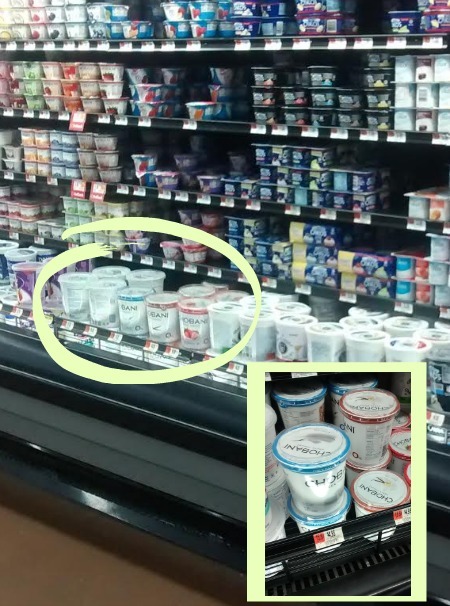 On top of it being a great way to add zip and zing to recipes, Chobani® Non-Fat Plain Greek Yogurt is non-GMO, has less sugar than regular yogurt and since I need them, I know it contains 3 types of probiotics. 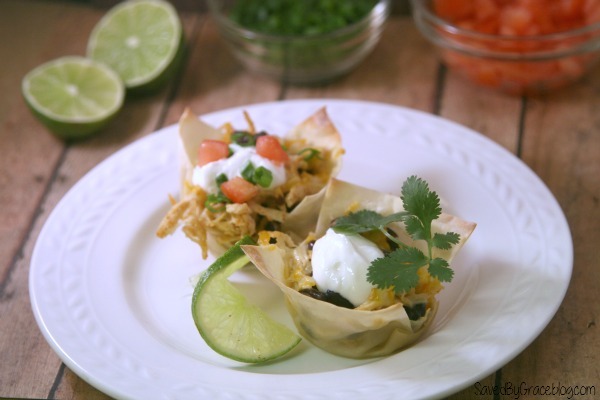 The Black Bean and Chicken Enchilada Cups were a huge hit when we made them here at home, so I am looking forward to sharing them with my guests on Christmas as we wait for the big meal to cook. They will be great conversation starters, don’t you think? I think we may do a Chobani® Non-Fat Plain Greek Yogurt bar (with fresh fruit, granolas and other toppings) in the morning for a quick breakfast before my guests head out. Poach chicken in water and shred. I like to do this ahead of time to save myself the trouble. I actually keep some chicken poached and shredded and ready to go for recipes like this in my freezer! 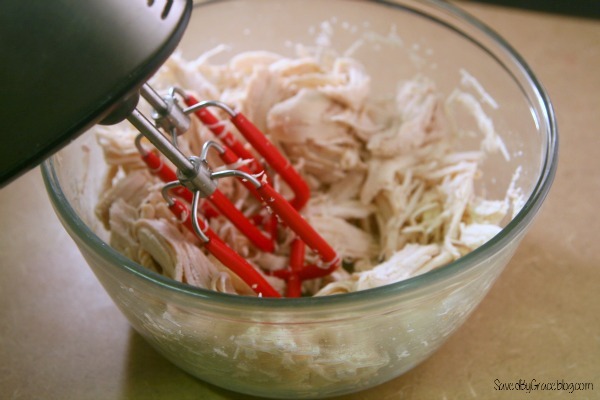 Want to know a great tip for quickly shredding chicken? Use a mixer or beater on the chicken as soon as it comes out of the pan. 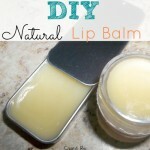 It shreds perfectly in about 5 minutes or less! Don’t forget to Pre-heat your oven to 350 Degrees F.
Spray a muffin tin with non-stick spray and line each section with 2 wonton wrappers. (Hint: These are found in the produce section at Walmart). 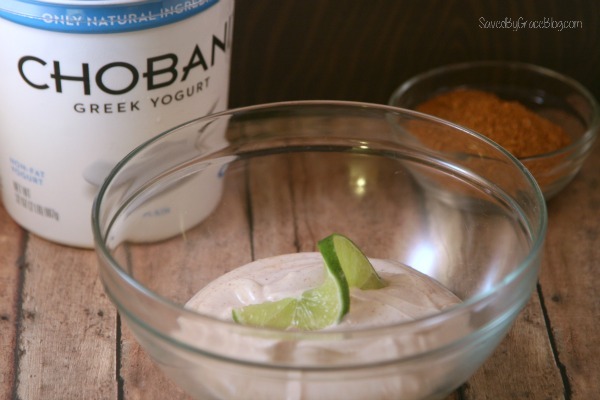 Mix Chobani® Greek yogurt with lime juice and taco seasoning. 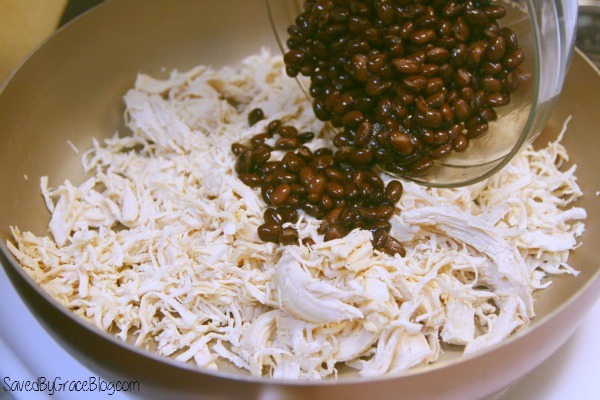 Place chicken in a pan to brown and add in black beans. 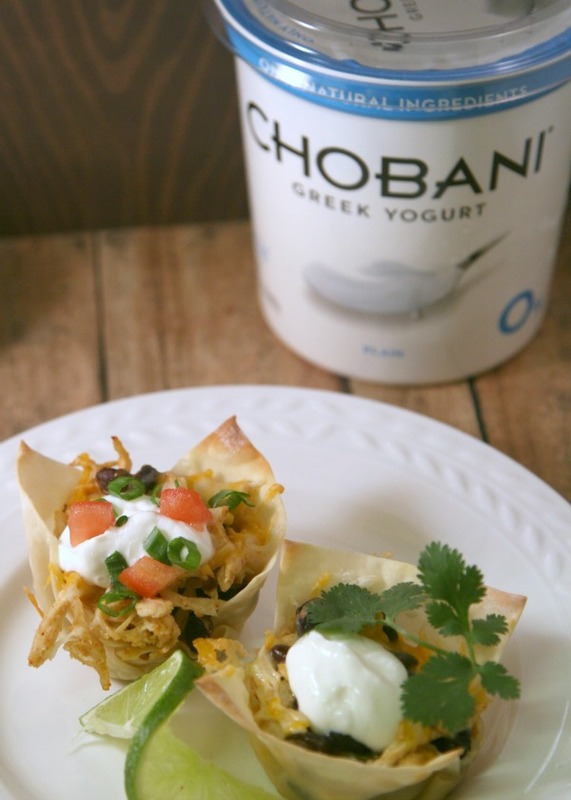 Add Chobani® Greek yogurt sauce and stir well over medium low heat. 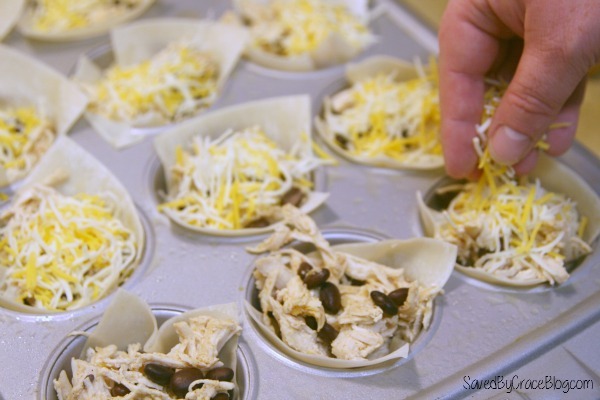 Fill each section of your muffin tin with enough chicken/black bean mix to make it 2/3 full. Top with a bit of cheese. Bake for 7-10 minutes and check. The wonton wrappers should be brown and crispy and cheese should be melted. 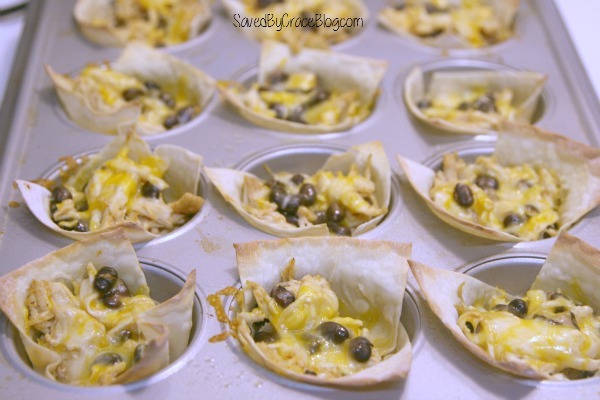 Pull out of oven and pop out each section, Top with your favorite garnishes and enjoy! Poach chicken in water and shred. Set aside. 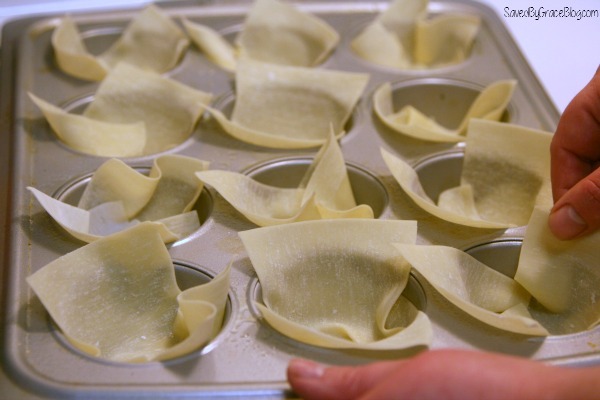 Pre-heat oven to 350 Degrees F.
Spray a muffin tin with non-stick spray and line each section with 2 Wonton wrappers. 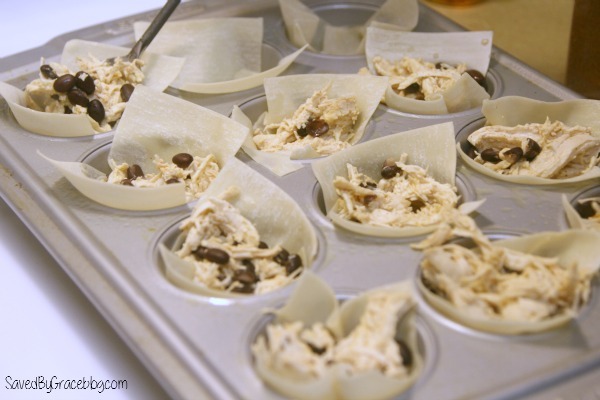 Fill each section of your muffin tin with enough chicken/black bean mix to make it ⅔ full. Top with a bit of cheese. Make sure you check out more holiday recipes and information about Chobani® Non-Fat Plain Greek Yogurt on their Facebook page and Youtube channel.